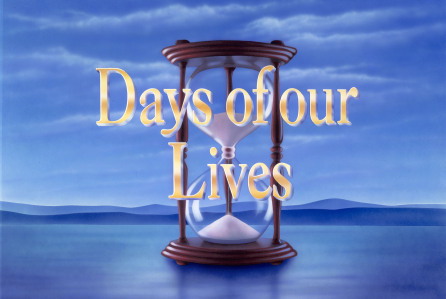 Check out the day-to-day spoilers to find out what's happening on NBC soap opera Days of our Lives during the week of December 19, 2016. Chad and Gabi are stunned when they realize someone witnessed their kiss. JJ worries that keeping another secret from Gabi will come back to haunt him. Lani returns to town and reunites with her family. Brady cautions Deimos not to hurt Chloe. Chloe is afraid Nicole knows the truth about the baby’s paternity. Kate accompanies apprehensive Adrienne to her first chemo appointment. Joey overhears Jade during a vulnerable moment. Deimos and Brady become increasingly concerned when Nicole fails to return to Salem. Gabi breaks things off with JJ. Andre tries to pressure Abigail into revealing she’s alive. Dario finds Paul snooping around his shipments on the dock, and Sonny intervenes..
Abigail and Jennifer say a difficult goodbye. Chad and Gabi exchange Christmas gifts. Brady finds Nicole and Chloe at the motel. Rafe brings a little Christmas cheer to Hope in prison. The Hortons have their annual ornament-hanging get-together. Kayla, Steve, Roman and Joey spend time at the pub, and brace themselves for another tough Christmas. Gabi, Dario and Sonny prepare to enjoy the annual hospital Christmas party. Chad makes a shocking discovery. Justin steps up to take care of Adrienne.